A four-season destination retreat dedicated to the concept of healthy living. 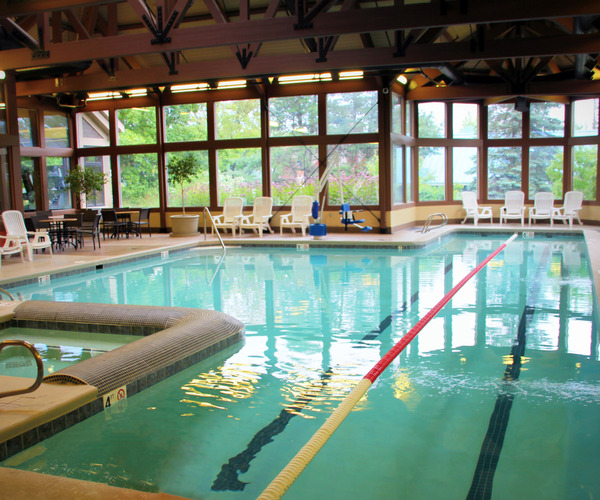 Surrounded by 1,500 acres of verdant rolling terrain in northwest lower Michigan, Crystal Mountain Resort & Spa is a four-season destination retreat dedicated to the concept of healthy living. Open since 1956, the family-owned property has been recognized as the number-one resort in the Midwest by SKI Magazine and has been ranked among Golf Magazine's "Top 25 Golf Schools" in the nation. Amenities include 45 downhill slopes and 25 miles of cross-country skiing, water sports, an alpine slide, and 36 holes of golf. Following an active day outdoors, guests can unwind at the spacious Crystal Spa, one of a few LEED-certified spas nationwide, or keep their energy pumped at the Peak Pool & Fitness Center. An array of lodging and residential options is available, along with an impressive IACC-approved conference center. The resort is also home to Michigan Legacy Art Park, a 30-acre wooded preserve designed to fuse nature and art. 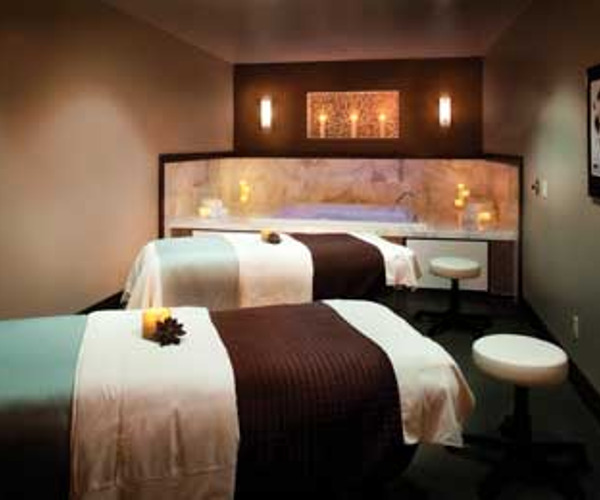 Crystal Spa is an eco-friendly spa that incorporates green-building, energy-saving materials into its design. With elegant interiors inspired by the region's natural surroundings, the 18,500-square-foot facility has 12 treatment rooms, including one dual room, a nail salon, a Vichy shower, and locker rooms equipped with heated floors, steam rooms, and infrared saunas. Guests can relax next to the fireplace in a private meditation lounge or soak in a hot tub in the outdoor meditation garden. Treatments use vegan and all-natural products and consist of body rituals, facials, and makeup and nail services, as well as a seasonal menu inspired by the resort's natural surroundings. The Signature Evergreen Renewal begins with a sea salt and citrus scrub, followed by a seaweed wrap immersed with Icelandic moss, and concludes with a full-body massage with evergreen elements. Various massage modalities are also available; services include the Oncology Massage, performed by therapists trained by the Beaumont Integrative Medicine Department, School of Oncology. The Peak Pool & Fitness Center features a broad range of fitness classes daily (water aerobics, Mountain Top Yoga, and Beach Body Boot Camp are just a few), as well as personal trainers, and a lap pool. There are two additional swimming pools on property. Sports aficionados have their selection of recreational opportunities year-round. Golfers can play a round on one of two courses, while nature lovers have access to 11 miles of hiking trails, including the Michigan Legacy Art Park, featuring more than 40-outdoor sculptures; the resort can also help arrange canoeing, kayaking, and mountain biking retreats. Downhill and cross-country skiing, snowboarding, snowshoeing, and ice skating are available in winter. Crystal Mountain celebrates families with year-round kids' programs, including summer camps, ski schools, outdoor movies, biking tours, and more. The surrounding area offers dining, galleries, shops, and events such as the Traverse City Film Festival. Wine country and the Sleeping Bear Dunes National Lakeshore are just a short drive away. The resort's 264 guest accommodations, ranging from standard guest rooms to multiple-room bedroom townhomes, are scattered throughout the 1,500-acre grounds, tucked away among two golf courses, mountain tops, tranquil ponds and streams, at the base of the slopes, or centered in the heart of the property. The gracious Kinlochen resemble a Scottish castle, with each of its one-, two-, and three-bedroom condos bearing the crest of a Scottish clan, while the cottages at Water's Edge sit within the heart of the resort's village. The bungalows at Crystal Glen feature living and dining areas, full kitchens, and washer/dryer services. Many accommodations feature gas fireplaces, whirlpool tubs, private decks, and wireless Internet access. The Celtic-influenced Thistle Pub & Grille offers a seasonal menu showcasing hearty entrées, pub fare, and a health-conscious "Peak Performance" menu. A full bar features international beers, Scottish ales, single-malt scotches, and flavored martinis. Open for breakfast and dinner, the Wild Tomato Restaurant & Bar features Mexican and Italian specialties in a casual, family-friendly atmosphere. Vegan and vegetarian options are available, and Kosher diets can be accommodated upon request.